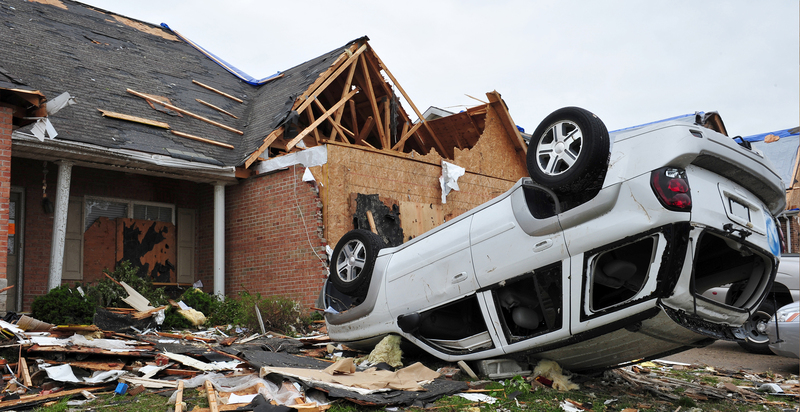 Storms can cause massive amounts of damage to your home or business in a split second. Recent years have shown that inclement weather has negatively affected Missouri residents with devastating tornadoes and high winds, large damaging hail and flooding. These storms may not only affect the exterior of your property, but can also cause interior leakages and other damages. Selecting the right contractor that can assist you with every aspect of your claim provides for the least stress in your fragile situation. Not only can Crown Restoration assist you with your immediate/emergency needs (ie. tarps/board-ups/drying services, etc), and we can also assist you with all of your reconstruction repairs to get your home or business back to the way it was before the storm struck! Our highly trained professional staff are on call 24/7 to assist you with every aspect of your residential/commercial storm damage needs. 24/7 emergency service available. Call today!